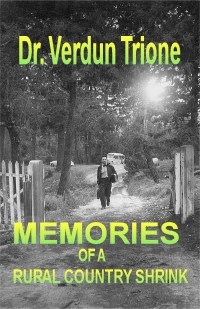 Memories is the personal anecdotal recollections of a rural country psychologist among the farmers and timber people of Northern California in the 1950s. The author visited homes without curtains, but their pickup trucks had them. He ate out of salad bowls that had Cool Whip printed on the side. He was served food from a buffet table that was also an ironing board. This is the story of how a young, naïve psychologist gave services to such communities and trusted he edged these communities ahead a few years. Philosophically, Dr. Trione realized his efforts were those of a Humanist (the application of reason and science to solve human problems).